Social media has forever changed the way in which consumers and businesses go about their daily routines. Nobody, could have imagined the boom that social networks have seen over the past few years, with social media becoming the number one activity on the Internet. As with any market, however, there are various terms that are unique or have special meanings within it. 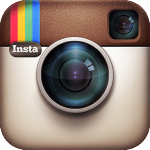 Bolt – an Instagram offshoot, Bolt is a messaging app that lets users take and send photos to friends. Check-In – an action that connects a person to a physical location. People can “check in” to locations on social networks like Facebook and Foursquare. CrowdPost – a proximity-based iOS social media app that connects users based on their location. Facebook Audience Network – a mobile ad network that targets users in other apps using Facebooks demographic information. Filter – an image customization tool which users can leverage to change the tone and look of their photo. Flickr – a photo sharing community that allows both amateurs and professionals to post images they have taken and receive comments and even negotiate purchases with those who are interested in the photos. 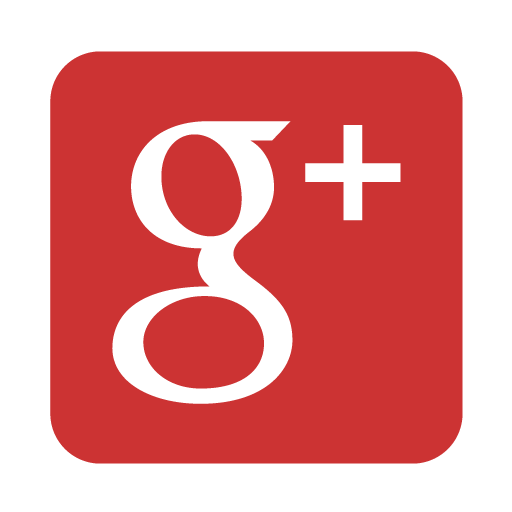 Google+ – a social network created by Google where users can share content and connect with other members. Businesses can add photos, contact information and more that will appear in Google’s search engine result pages. Instagram Explore – a new tab that helps users discover new content that is relevant to their interests. LinkedIn – a social network for professionals, users are able to post their job experience and skills, find personal and professional contacts, search for jobs, blog and much more. LinkedIn Ads – a self-service advertising solution that allows its users to create and place ads on the LinkedIn.com website. Meme – a generally recognized piece of content that typically pokes fun of a person, place or situation. Typically, memes are shared by many people and quickly go viral. Messenger – an app to which Facebook transferred all of its messaging power. Users are able to chat with their friends in a similar manner to text messaging. Newsfeed – the homepage of a social network that is continuously refreshed with activity updates from a user’s friends or followers. 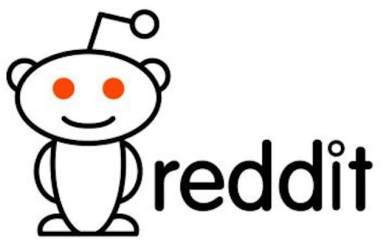 Reddit – the so-called “front page of the Internet” has hundreds of subpages (called subreddits) for various topics from Space Jam to Astronomy and Politics where users can submit posts and comments to drive discussion. Snapcash – Snapchat users are able to send and receive money from Snapchat friends after entering their debit card information. Snapchat Ads – Snapchat introduced its first ad in Oct. 2014. Users are able to view ads in the Stories section of the app. Snapchat Chat – Chat enables users to have a private conversation with friends via text, snaps and previously saved videos and images. Snapchat Discover – a storytelling feature where users are able to find Stories from a variety of sources including CNN, Comedy Central and Food Network. Social Login – a sign-in form which allows users to leverage their social media credentials on a third-party website instead of having to create separate login credentials. StumbleUpon – a social discovery engine that helps users discover new and unique things from across the Web through recommendations. 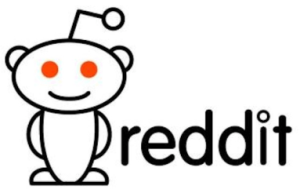 Subreddit – a community subpage on reddit like r/pics and r/tech that discuss relevant topics to the community. Swarm – a social meetup app spawned from parent Foursquare that lets users check in wherever they are. Syndicated Promoted Tweet – a promoted Tweet that can be seen off of Twitter. Twitter Discover – the Discover tab enables users to find new hashtags which may be of interest to them. WhatsApp – acquired by Facebook, WhatsApp is a mobile messaging app. Word-of-Mouth Marketing – an unpaid form of promotion by a customer on behalf of a brand. YouTube – a video-sharing platform owned by Google. YouTube Kids – specifically designed for kids, YouTube Kids has a variety of videos for kids to learn from and parental control settings to make sure kids watch only age appropriate videos. 1. 301 Redirect. A 301 redirect is Google’s preferred method of automatically taking visitors to an old URL or (sometimes) a URL with duplicate content to the current, correct page. SEO impact: Points Google to the content you want it to see. 3. Anchor Text. Anchor text is the text you click on in a hyperlink. SEO impact: Google looks for natural link text; e.g., text that varies from keywords to the URL to the company name to simply “click here”, etc. Over optimizing anchor text with keywords can negatively affect organic visibility. 4. Authority. “Authority” describes how highly Google regards your website (domain authority) or a particular Web page (page authority). Following White Hat SEO practices has a cumulative effect of increasing domain authority and page authority. 5. 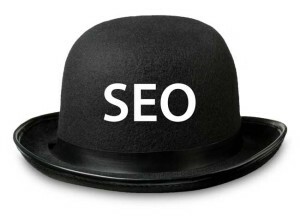 Black Hat SEO. 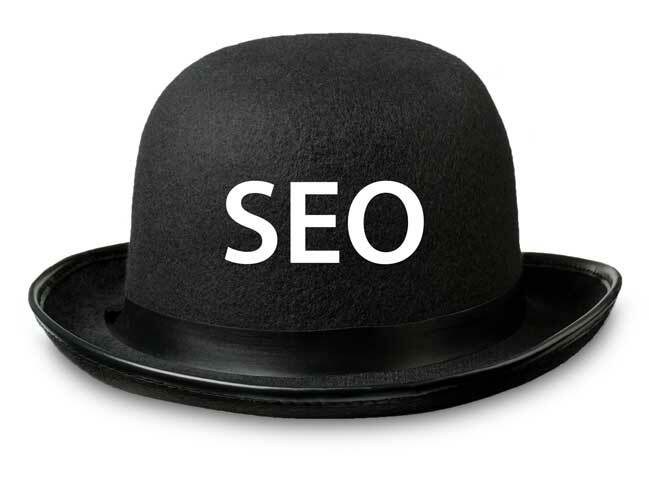 Aggressive SEO practices designed to manipulate organic rankings for short-term results are referred to as Black Hat. SEO impact: Using Black Hat techniques can result in severe penalties and should be avoided at all cost. 6. Canonical URL. When a website(s) has active pages with duplicate content, or multiple URLS for the same page (e.g., SampleURL.com and sampleurl.com) a canonical URL tells Google which page is the main source of the content. SEO impact: Canonical URLs ensure Google points users to the version of a Web page you want them to see. 7. Content Marketing. 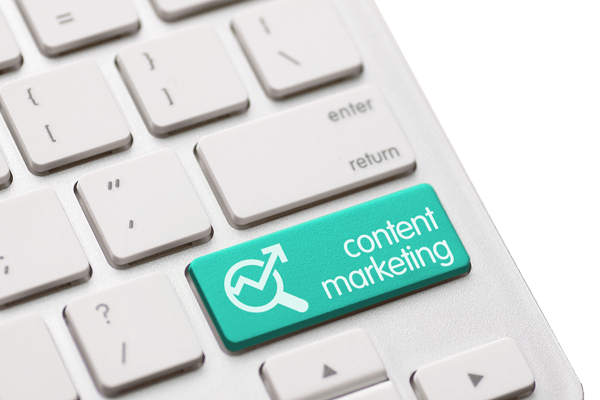 Content marketing is an Internet marketing technique where content is used to drive leads and improve branding. SEO impact: Creating high quality on-site and off-site content produces significant SEO impact: Creates natural inbound links and improves domain and page authority. 8. Conversion. When a user clicks on an organic link in a search engine, or phones a company using information from an organic link, they are SEO conversions. 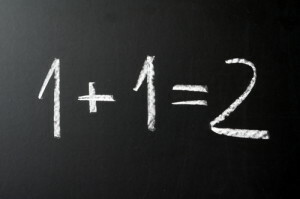 SEO impact: Conversions are a useful metric for evaluating SEO performance. However – all conversions are not sales leads, so it is extremely important to validate sales leads as part of SEO execution and evaluation. 9. Directory. Directories are websites that display lists of recommended or endorsed websites, usually within a particular niche. SEO impact: Having a directory listing with a link can be very good or very bad for SEO, depending on the authority of the directory website in question. 10. Google Analytics. Google Analytics is a free service that provides highly detailed information and statistics about website performance. SEO impact: Google Analytics provides essential information for SEO, including sources of referred traffic (e.g., traffic sent from Google organic search to the website), and traffic and user behavior on individual website pages. 11. 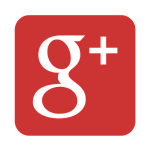 Google Webmaster Tools. Google Webmaster Tools is a free service that allows webmasters to identify and correct website issues that impede SEO performance. SEO impact: Webmaster Tools is invaluable for on-site optimization. 12. Internal Link. Internal links are hyperlinks that link to other pages within a website. SEO impact: A website’s internal linking system, if well constructed, helps Google determine the relative importance of website pages and thus improves search visibility. 13. Keyword Research. Keyword research is the process of systematically reviewing search terms used in organic search and evaluating their potential effectiveness for SEO campaigns. SEO impact: All SEO campaigns must start with detailed keyword research, since an SEO campaign is only as good as the search terms its online content is built around. 14. Keywords. Keywords are the words and phrases search engine users input on Google, Bing and other search engines. SEO impact: Strategically valuable keywords are ones used by people looking for a company’s products and services, but don’t know who the company is or are not aware it sells those particular things. 15. Landing Page. In SEO, a landing page (or entry page) is a website page that search engine users come to after clicking on an organic link. SEO impact: Creating persuasive, informative landing pages for strategically important keywords greatly improves lead generation. 16. Link Acquisition. Link acquisition, also referred to as link building or link development, is the SEO process of acquiring high authority, relevant backlinks to a client website. SEO impact: Link acquisition must be undertaken carefully by firms intimately familiar with best practices — Black Hat techniques can be interpreted as manipulative by Google and do much more harm than good. 17. Link Profile. A website’s link profile is the totality of inbound links pointing to that website. SEO impact: A strong link profile, which is diverse and driven by other websites that desire to link to the website based on the quality and usefulness of its content, has a huge positive impact on SEO performance. 18. Link Reclamation. Link reclamation is the SEO process of identifying poor quality links to a website, and then taking steps to eliminate or improve them. SEO impact: Over time, a website builds up links from websites that have fallen into disfavor with Google or are otherwise undesirable. Cleaning them up improves a website’s link profile and SEO performance. 19. Long Tail Keywords. Long tail keywords are keyword phrases that are highly detailed, often having relatively low search volume but also a very high likelihood of producing conversions, such as “buy 100% organic sunscreen in orlando”. SEO impact: Companies that focus only on high volume keywords rather than including longtail keywords miss significant opportunities to generate sales leads. 20. Meta Description. A Meta description is a snippet of HTML text associated with a Web page that sometimes displays under a link in organic search results. SEO impact: A persuasive Meta description encourages users to a click on a link, thus improving conversions and lead generation. 21. Meta Title. 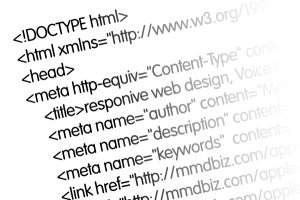 The Meta title of a Web page is HTML code that describes the content of a page. Meta title tags should always be unique, accurate and include important keywords. SEO impact: Well-written Meta titles have great importance in communicating what a page is about to Google. They are probably the most important thing to get right on a website. 22. Off-site Optimization. Off-site optimization is SEO work undertaken away from the website to improve organic search visibility. Tasks include off-site content marketing and directory listing/renewal. SEO impact: To be successful, all SEO campaigns should have a robust off-site component. 23. On-site Optimization. 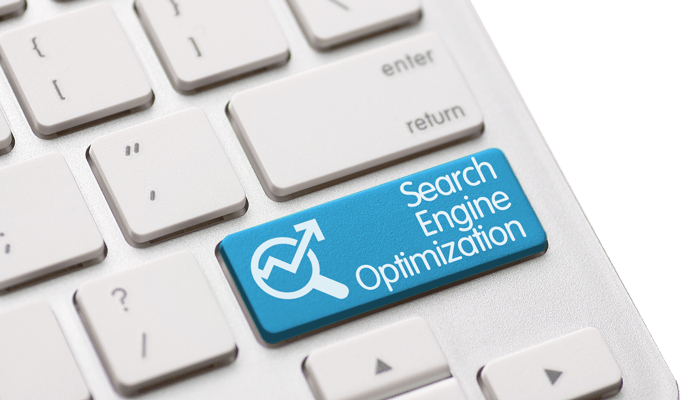 On-site optimization is SEO work undertaken within the website to improve organic search visibility. Tasks include reviewing Google Webmaster Tools to correct errors and adding strategic website content. SEO impact: To be successful, all SEO campaigns should have a robust on-site component. 24. Ranking Factor. A ranking factor is something known to be part of the Google Algorithm for the ranking of website content, such as Meta titles. Some factors, such as social media mentions, are not definitive ranking factors, but are instead only correlated to high organic search visibility. SEO impact: A competent SEO company understands the nuances of the many ranking factors and takes them into account for all campaign activity. 25. Robots.txt. Robots.txt is a “behind-the-scenes” file on a website that tells Google “robots” / “bots” / “crawlers” (see spider) to ignore certain content or provides other instructions to them about how to read and interpret the website. SEO impact: Proper use of robots.txt makes it easier for Google to understand and thus give higher visibility to strategically important website pages. 26. Search Algorithm. A search algorithm is a complex “recipe” for evaluating the organic search engine significance of website pages relative to the keywords search engine users input when conducting a search. The most important of these is the Google Algorithm, as Google continues to be the dominant, most widely used search engine. SEO impact: Google’s algorithm changes continually. A competent SEO company keeps pace with algorithm updates, so as not to use outdated techniques that result in neutral or even negative results. 27. SERP. SERP stands for search engine results page. It is the page of links search engine users see after inputting keywords for a search. SEO impact: Today, SERPs are highly customized. Universal search, personalized search and other factors have resulted in SERPS with various types of results on the page, obscuring the meaning of “rankings.” Competent SEO companies thus focus on overall visibility rather than pursue hard to calculate and relatively unimportant ranking numbers. 28. Sitemap. A sitemap is a list of Web pages on a website. For SEO, Google recommends specific sitemap attributes to enable it to better understand and rank a website. SEO impact: A properly structured sitemap has a large role in improving search engine visibility, especially for websites with many pages. 29. Spider. A “spider” is a search engine robot that visits and analyzes a website. Google spiders. SEO impact: Well-optimized websites enable spiders to quickly and correctly interpret its content and thus improve organic search visibility. 30. 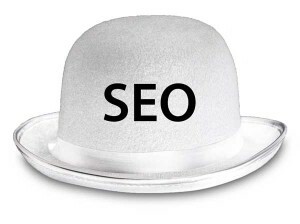 White Hat SEO. 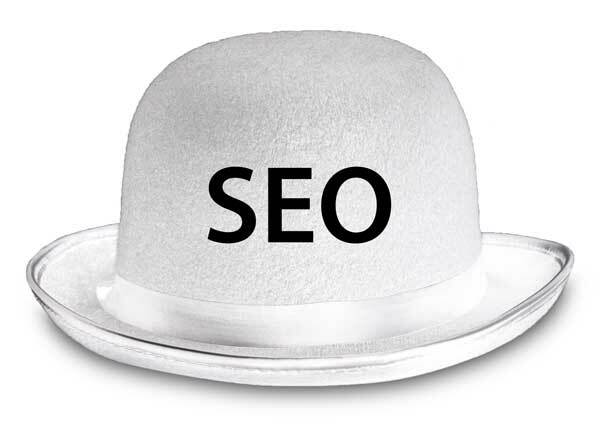 White Hat SEO practices follow Google guidelines and other established best practices. SEO impact: Using White Hat SEO techniques is the best way to obtain results for SEO campaigns in the long term. Brad Shorr is the B2B Marketing Director of Straight North, a group of Internet marketing experts helping companies of all sizes with their search marketing campaigns. Speed is one of the most important metrics for your website. 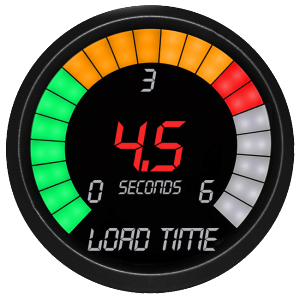 Everybody is in a hurry and according to surveys done by Akamai and Gomez.com, nearly half of web users expect a site to load within 2 seconds or less. 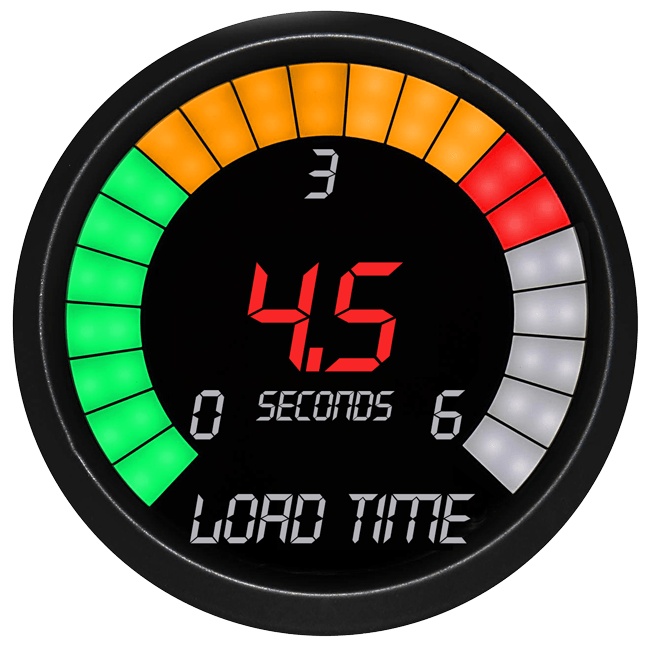 40% of users tend to abandon a site that has not loaded within 3 seconds. Use the Pingdom Website Speed Test for example to evaluate your site. Make sure the load time is below 2 seconds. Mobile internet users expect browsing on their phones/tablets to be comparable to the desktop or laptop experience. However, internet speed on mobile devices is typically slower than on desktops and laptops. So page optimization is crucial for being successful in the mobile world. Select the “right” format for your image and compress all images. To learn the basics about image processing and formats read Google’s Image Optimization Guide. If you need alpha transparency in your images, save the pictures as PNG 24. You will notice that the image size is really large, typically much bigger than a JPG equivalent. Fortunately there is TinyPNG an excellent tool that compresses PNG files typically by about 70% while preserving alpha transparency. Can you tell which picture is 155KB and which is 44KB? Combine all CSS files into one master CSS file and minimize CSS by using e.g. node.js together with clean-css (see https://www.npmjs.com/package/clean-css). This approach allows you to create a batch file that combines all your CSS files into a compressed single CSS file with a single click. You can also just use one of the online tools to combine and compress multiple CSS files. Minifying HTML can save you some extra bytes and there are online tools available that take care of CSS, JavaSript and HTML minification. However, for a typical modern page, the actual HTML code is orders of magnitude smaller than the CSS and JavaSript. So if minifying HTML only saves you a couple of hundred bytes don’t bother. This is a nice article that shows you how to set things up. Make sure, you test that compression is working. Leverage browser caching by setting a maximum age or expiry date in the HTTP headers for static resources. This will allow the browser to load previously cached content instead of downloading all resources from your web server. This obviously is only meaningful for “static resources” meaning content that does not change frequently. Typically this can be achieved by adding code similar to what is shown below to your .htaccess file. #ExpiresByType image/jpeg "access plus 7 days"
#ExpiresByType image/gif "access plus 7 days"
#ExpiresByType application/x-shockwave-flash "access plus 7 days"
#ExpiresByType image/x-icon "access plus 1 month"
If you need more information check the “Leverage Browser Caching” resources at Google. Caching in general can greatly improve the speed of your site. This is particularly important if you use a CMS like WordPress, Joomla, Drupal or alike. So if your content does not change on a daily bases, use a caching plugin. An example would be “WP Super Cache” for WordPress. Caching does not only make your site faster it also minimizes server load. Make sure your web server has a fast response time (under 200ms). Testing your web server requires multiple measurements over several periods of time. Depending on your hosting company, performance data may be available. Avoid web content, such as Flash, Silverlight, and Java. Most mobile devices do not support these plugins and even modern desktop browsers restrict their use. Besides the overhead they are a leading cause of crashes and security issues. This is the result of Pingdom Speed Test for MMDbiz. 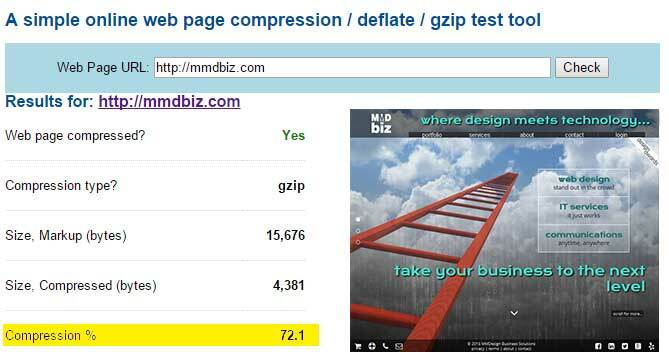 Note that mmdbiz.com loads faster than 98% of all tested web sites. 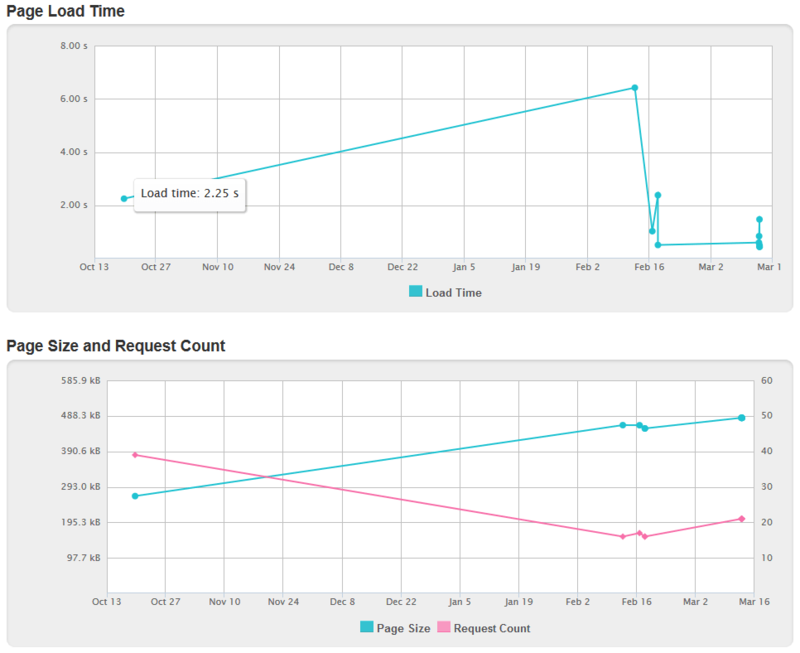 We actually did tests throughout the development of the site: the page size increased and with it the load time. A sharp drop in mid February marks the implementation of the above mentioned speed enhancing measures. login to the Bing and Google Webmaster Tools and upload your sitemap. Set the title for all your pages and populate the standard meta tags (description, keywords, author, viewport (see e.g. https://support.google.com/webmasters/answer/79812?hl=en for more details). Add Structured Data that will control how your site will be listed in search results. Use Google’s Structured Markup Testing Tool and Structured Data Linter to make sure your data is valid. 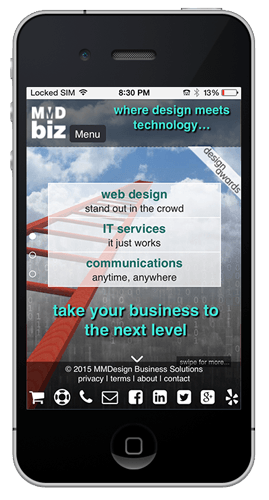 Make sure your site passes Google’s Mobile Friendly test, which you can only pass if your website is responsive (see https://mmdbiz.com/mobile-responsive-web-design.php) or your site is a mobile site (old technology, not recommended). Make sure your content and page titles are unique (no duplicates). Include your keywords in both title and page content. Validate your CSS files at http://csslint.net/. Note that bots do crawl CSS files. So valid CSS file will not only display your content correctly but also help SEO. Check for 404 errors with the Google Crawl Errors report in the Webmaster Tools. Check your site speed and address all recommendations. It’s official, as of April 21, 2015 Google will be factoring in mobile-friendliness into its search algorithm. What that means in plain English is that your website will be ranked lower in mobile search if it is not deemed mobile-friendly. The text needs to be set at a reasonable size on a mobile device such that it is actually readable without zooming in. The mobile viewport has to be set. To learn more about the viewport settings see here. The links need to be spaced sufficiently such that they can be tapped by a fat finger. Google actually assesses the actual link spacing and if they are too close will penalize the site. The content has to be fitted appropriately such that there is no need to scroll horizontally or zoom. Essentially the content cannot be wider than the screen of the mobile device. 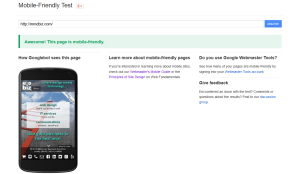 To check your site go to Google’s Mobile-Friendly Test. The result will be one the of examples shown below. 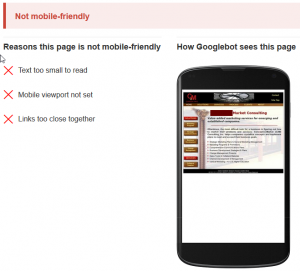 Why should you care about mobile search? Mobile search accounts for approximately 50% of all website searches. 52% of smartphone and tablet users use mobile as their primary internet access device (source Ofcom). Convert your website to a responsive design. 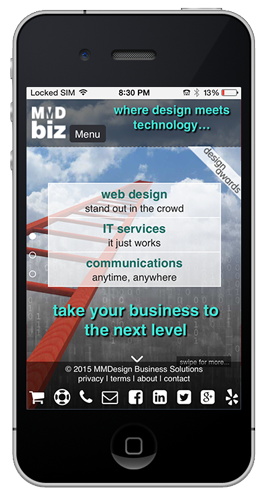 This is one of MMDbiz’s core competencies, and we have been building responsive sites for several years. Please visit our web design portfolio to see our recent work. Just when we thought we got a grip on Mobile Apps, Mobile (M-dot) Sites and Responsive Web Design (RWD) another acronym started to pop up: Adaptive Web Design (AWD). A Mobile App is a computer program designed to run on smartphones, tablet computers and other mobile devices. This one is pretty straight forward. 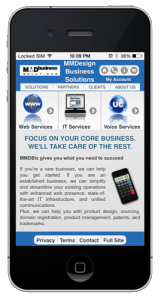 An M-dot Site is website specifically made for mobile devices. It has a different user interface and size than the regular desktop website, and typically stripped down content. Specific code determines whether the requesting device is a mobile or desktop device and serves either the mobile or desktop site to the end-user. The picture on the left shows the “old” MMDbiz mobile (M-dot) site compared to the “old” full site (shown below) to give you an idea. Responsive Web Design (RWD) is an approach to web design aimed at crafting sites to provide an optimal viewing experience—easy reading and navigation with no resizing, panning, and minimal scrolling—across a wide range of devices (from desktop computer monitors to mobile phones). 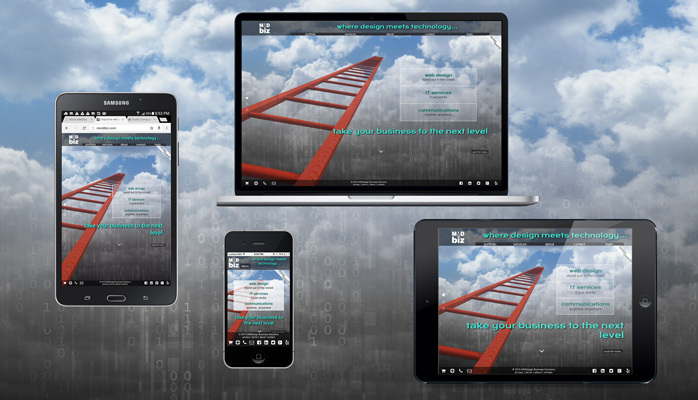 A responsive site adapts to any screen size or device regardless of size, make or model. See the picture below that shows the mmdbiz.com site on various devices. Adaptive Web Design (AWD), strives to optimally deliver and display pages for any combination of location, device and network capability. This concept allows for better performance on mobile devices while maintaining visual consistency between the mobile and desktop sites. Server side scripts determine the client device type and capabilities and serve optimized content. AWD is complex and typically only large companies can tackle this successfully. Sites that are using adaptive technology are Amazon and USA Today for example. Similar to the M-dot site, AWD needs to be updated constantly with every new device/browser in order to be effective. Serve smaller graphics (which are typically the main culprits) to mobile devices versus desktop sites. With RWD only one site needs to be maintained which translates to lower maintenance costs. 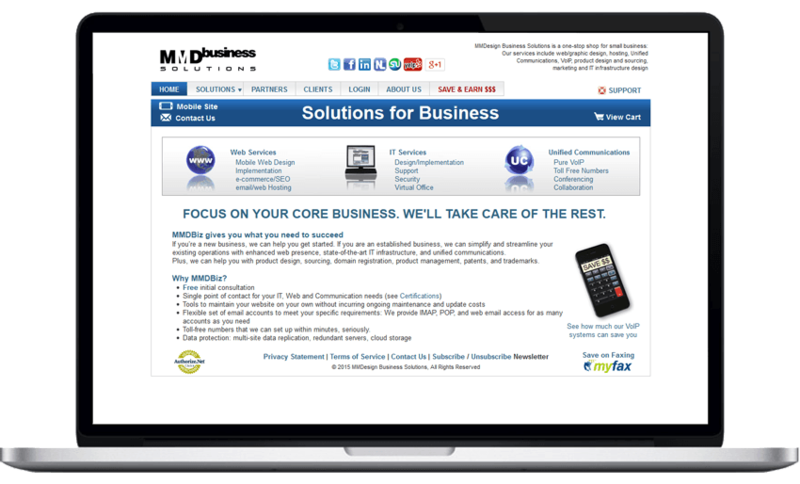 RWD is one of the core competencies of MMDbiz and we have been building responsive sites for several years (see web design portfolio). 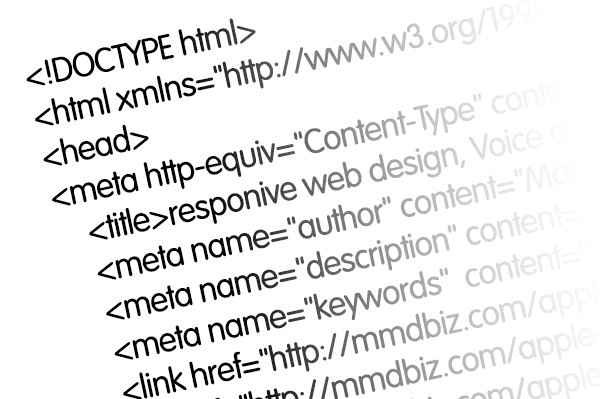 Is Your Website Passing the Test? Google recently made a tool available to test any website for being “mobile-friendly” (see mobile-friendly test). Test your site, and if it looks like the image shown on the right, you should take action. The Mobile User Experience Cannot Be Ignored Anymore. 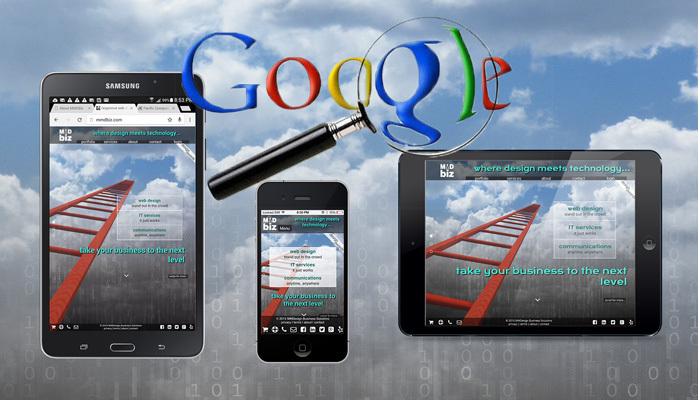 According to BIA/Kelsey and Google statements, Mobile search will surpass desktop search this year. 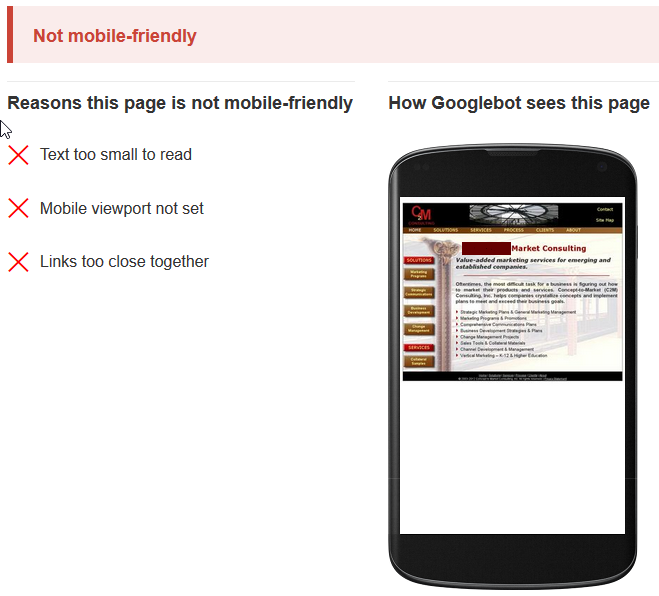 Google already penalizes sites that provide a bad experience to mobile searchers. Now the company has confirmed that it’s testing with what seems like a boost for those providing a great experience. 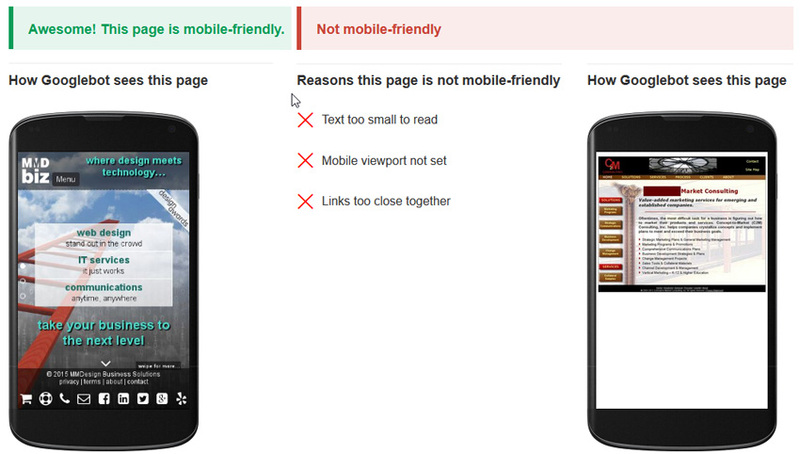 Google also introduced the “mobile-friendly” label in mobile search results. Responsive Web Design (RWD) has been around for several years now and has become the de facto standard for web design. Google recommends responsive design in their developer help files (see https://developers.google.com/web/fundamentals/layouts/index?hl=en). If done right, responsive design provides the same user experience over all device types (mobile, tablet and desktop). Only a single website has to be maintained unlike with a mobile site and desktop site approach. RWD saves money over the live of a website (only one site to maintain). I Failed The Test – What Now? Convert your site to responsive design! 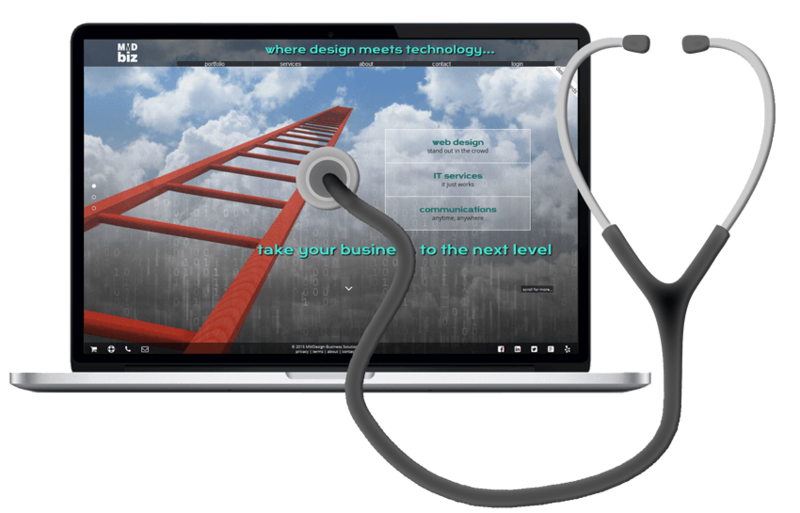 RWD is one of the core competencies of MMDbiz and we have been building responsive site for several years (see web design portfolio). If you are already work with a developer, ask to see your developer’s references and portfolio. Make sure he or she understands responsive webdesign and has responsive sites in their portfolio.